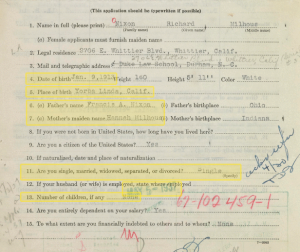 When Richard Nixon was 24 years old, he applied to be a special agent in the FBI in 1937. That application is now on display at National Archives, reports the Smithsonian. 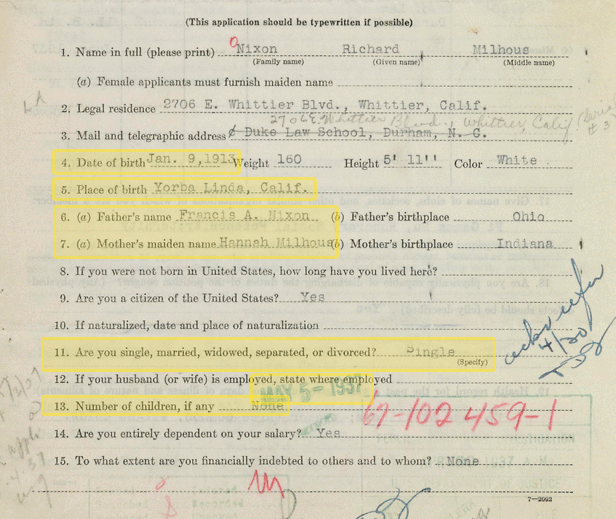 Nixon applied to the bureau just after graduating with a law degree in June 1937. But Nixon never got a response after taking a physical exam, according to the Smithsonian. Posted: 4/2/14 at 9:49 AM under News Story.